Daniel Murtaugh began his musical maturation upon acquiring his first “real” guitar at age nine. Before he could drive he was performing his songwriting live. 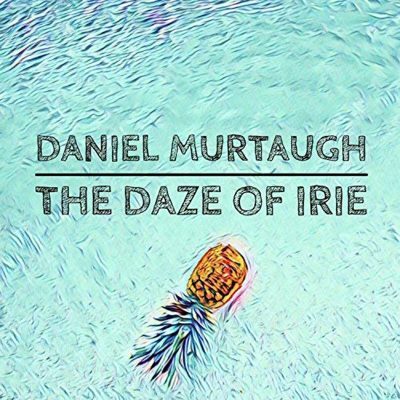 His The Daze of Irie is a chimeric collection of 15 tracks that surprise and aspire to inspire, with a resounding hopefulness and, as the title would transparently suggest, an island-reggae positivity. The album opens with glistening electronics, strummed guitar and a radio voice preaching the universality and connecting potential of music, setting the stage for the overall tone of the LP. The eclecticism of the album is often impressive, showcasing ambient, reggae, folk and new age. Murtaugh is sometimes tough to pin down, yet his melodic skill and lyrical lovefest are just as tough not to enjoy. Tracks like “#3” are sweet and simple without being candied and cloying. The piano work on the album is impressive, especially when it’s met with glinting moments of electronics and programmed drums. “Little Things” is a lovely combination of poppy personality, folksy influences and clever sound engineering, with almost a mid-career U2 vibe. Throughout, it becomes apparent how Murtaugh transitioned from being a rock-folk artist into a more produced and polished persona.